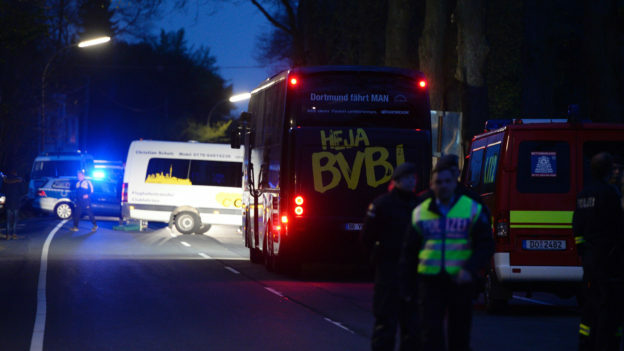 On Tuesday afternoon, just after it pulled out of a hotel in Dortmund, Germany, the Borussia Dortmund team bus was rocked by three explosions as it headed to the club’s Champions’ League quarterfinal against French club AS Monaco. One Borussia player–Spanish international Marc Batra–suffered a broken wrist. A German police officer was also slightly injured. Six miles away, the stadium announcer at Dortmund’s Signal Iduna Park Stadium told the thousands of fans already in the stands of the attack, and informed them that the match would be postponed 24 hours until Wednesday evening. For the moment, German authorities believe the attack was perpetrated by islamist terrorists. The three bombs were expertly placed in bushes just past the hotel–and out of sight of hotel surveillance cameras. All three devices were detonated remotely, another sign of skilled terror operators. Investigators found a computer typed letter near the site that opened with the phrase “In the name of Allah, most gracious, most merciful,” and threatened further violence against German leaders and athletes unless the country ceased to support coalition forces fighting the so-called Islamic State in Syria and Iraq. On Wednesday, German Federal Prosecutor Sandra Luecke announced that two suspects with islamist ties were under investigation, and that one of them, a 25-year-old Iraqi from Wuppertal, had been detained. 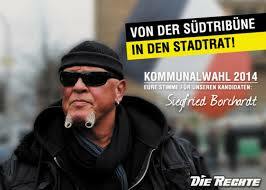 Neo-fascists were also a familiar–and frightening–sight at the Dortmund stadium. 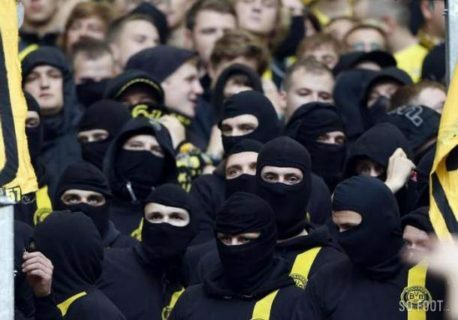 They skillfully recruited members from Borussia Dortmund fan clubs–appealing to a distorted sense of patriotism and loyalty, and capitalizing on a misplaced need to belong among Dortmund adolescents and young men. Neo-fascist Ultra groups like “Northside” and “0231 Riot” occupied entire sections of the Dortmund stadium, terrorizing rival fan groups and brawling with police. Recently, Borussia CEO Hans-Joachim Watzke has begun cracking down on Ultra groups, banning dangerous hooligans from the stadium. Several Borussia Dortmund officials have since received death threats. Several observers believe Tuesday’s attack could have been the work of Ultras. There is even a third hypothesis. Shortly after the explosions, an extreme left wing group posted an online letter in which it took credit for the attack, and criticized the Borussia Dortmund club for its soft policies on “racists, Nazis, and right-wing populists.” A spokesperson for the German Department of Justice has expressed strong doubts about this last hypothesis. In a statement on the club website, Borussia Dortmund CEO Watzke wrote “We want to show that terror and hatred can never dictate our actions.” And in a show of solidarity–perhaps the only silver lining in a very alarming incident–visiting AS Monaco fans sang their support for the home team fans in the stadium stands, while Dortmund fans used the team twitter site to offer their spare beds and couches to the visiting fans, who needed to stay on an extra night for the Wednesday match. Sadly, terror at European soccer matches seems to be a rising trend–mirroring a similar trend across the continent. Three people died in an explosion near the Stade de France during the November 2015 Paris assault that claimed 129 lives. The following summer, French police thwarted several terror attacks during the 2016 European Championships. This entry was posted in Ken's Blog and tagged Dortmund, islamist, terror on April 12, 2017 by Ken Shulman.